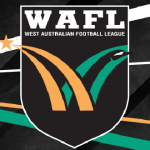 THE Western Australia Football League (WAFL) Colts kicked off for 2018 on Good Friday with plenty of players impressing across the opening round of football. It was the Hickmott brothers who were the most impressive through the midfield for Subiaco. Both Liam and Will collected 28 disposals each, with their ability to get the ball inside 50 important – helping the Lions forwards hit the scoreboard. Luke Foley (28 disposals, six tackles, six inside 50s) was also a prominent player, booting two goals. Small midfielder Zane Shellabear Healy had his best Colts game, with 23 disposals (22 kicks), seven inside 50s and booted two goals. 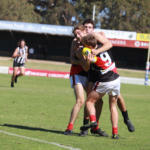 The Lions dominated the hitouts 53 to 16, helping their midfielder get first hands on the ball. For the losing side, Damon Greaves (21 disposals) was one of their best. All three Sparks boys found plenty of the ball with Cooper (18 disposals), Harley (16 disposals) and Rory (15 disposals) all finding themselves in the top five disposal winners for East Perth. Tall forward Liam Martin booted a match-high three goals. Jacob Msando’s presence around the ground was important, where he laid a team-high five tackles. Fremantle Dockers’ Next Generation Academy member Jason Carter won plenty of the football and was impressive in Peel’s win over East Fremantle. Carter collected 22 disposals, five marks and laid four tackles in the win. 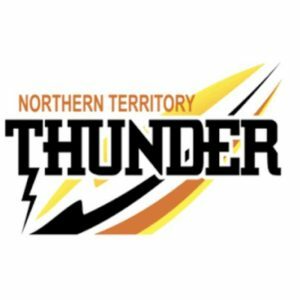 Durak Tucker (15 disposals) was named as Peel’s best player, while small forward Jarrad Fazioli booted 2.2 from his 15 disposals and will be a name to watch at the National Under 18 Championships for Western Australia this year. Bradley Oldfield (21 disposals, eight tackles) was another player who featured in the Peel’s best players. 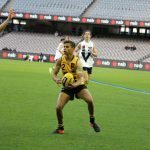 East Fremantle AFL Academy member Tom Joyce found 20 disposals, while Corey Robinson was the losing teams leading disposal winner with 24 disposals and he laid five tackles. 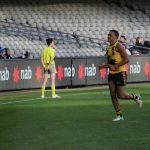 Jeremy Sharp collected 22 disposals and was able to get the ball inside 50 on multiple occasions, while Milan Murdock made his disposals count – where he hunted the ball back with vengeance, laying eight tackles for the game. The Claremont Tigers came from behind to win a close contest against West Perth. Despite trailing by three goals at three-quarter time, the Tigers pilled on six goals-to-one to run out as winners. Midfielder Rylie Morgan largely lead their final quarter charge, with 30 disposals, 11 marks, six tackles and five inside 50s for the game. He was well assisted by Tyron Smallwood, who collected 28 disposals, six inside 50s and two goals. Forward Jack Buller clunked five marks and booted three goals, as his teams leading goalkicker. For the home side, Nathan Murray lead the stats sheet – with 31 disposals and seven marks. Daniel Rowe (15 disposals) and Eamon Gilbert (19 hitouts) were also in the best for West Perth. Jaxon Prior had six shots on goal for the game, while tall Thomas O’Donnell marked the ball on nine occasions. Despite a relatively close first half, Swan Districts ran out winners against a strong Perth team, thanks to a four goals to one third term. Midfielder Luke English was one of the standouts for the home team, collecting 28 disposals, six marks and four inside 50s. Possible Top-10 draftee Ian Hill found 23 disposals, laid four tackles and had four inside 50s. Elijah Taylor (16 disposals, seven marks) marked well overhead, while Sydney Stack’s pressure around the ground was very good, where he had 18 disposals, seven tackles and won four free kicks. The Swan District team got their hands on the ball more than their opponents, winning nearly 60 more disposals than the home side. Riley Garcia was the clear best player – collecting 32 disposals, laying six tackles and having six inside 50s. Jackson Beck (26 disposals) and Mitchell Bain (25 disposals) were two of the other Swan District players to impress through the midfield. Graydon Wilson laid 10 tackles, working hard right throughout the contest – while Atem Deng booted two goals from his 15 disposals.